How about a spell that could backfire, but may also work spectacularly? Choose a creature you can see, and choose either Wisdom, Intelligence, or Charisma. That creature and you both make saving throws of that chosen type. Whoever has the lower saving throw is Stunned for one round. The winner of the two saving throws repeats the process at the end of their turn until the duration of the spell ends. You are a practiced spell caster who is either truly touched by the gods or a master in your own right. Gain an number of extra spell slots equal to your spell casting ability modifier. You may use these to cast one extra spell for each level you can cast spells. You may not use these extra spell slots to cast more than one spell of the same level. As an example, a wizard with an intelligence of 16 could cast three extra spells, and could cast those extra spells at spell levels 1, 2, and 3. But that same wizard could not cast extra spells at levels 2, 3, and 3. When you gain this feat, you must choose a spell casting class that will gain the extra spells. Dual Review! 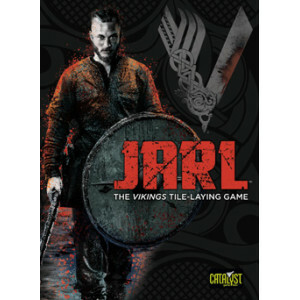 Ring Side Report-Board Game Review of The Duke AND Jarl! TWO reviews in one! First The Duke, then Jarl! Basics- Two meet on the battlefield, but only one can rule! The Duke is a miniature war between two dukes. The main goal of the game is to capture the enemy’s duke. If this sounds like Chess, then you’re on the right track. Two new mechanics separate this from Chess: 1) random piece draw and 2) variable piece movement. On a turn, you can do one of two things: draw a new piece or move/activate a piece. 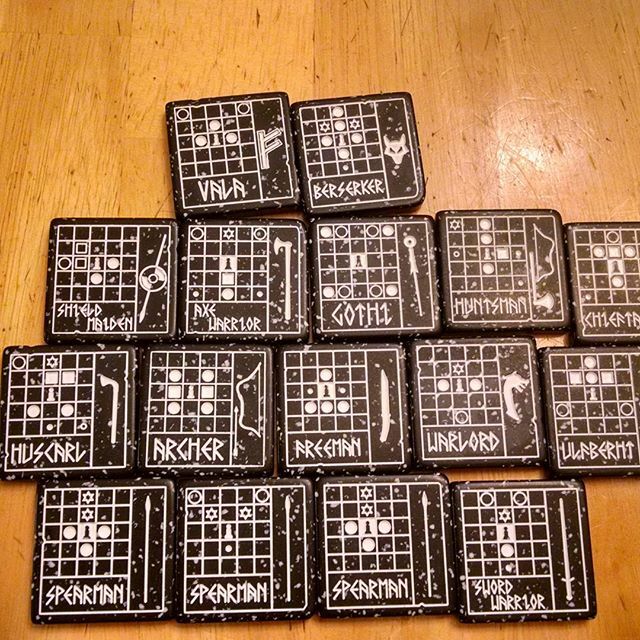 The pieces themselves have a miniature board on them indicating how they move, what squares they move to, and any special powers in each square. Some actions are moving across spaces, some are hopping over spaces, some moves are not moves as they just attack spaces at a distance. What is interesting is after a player does use a tile, that tile flips to another side, thus providing two different tactics for each piece. The other option is to spawn new pieces. 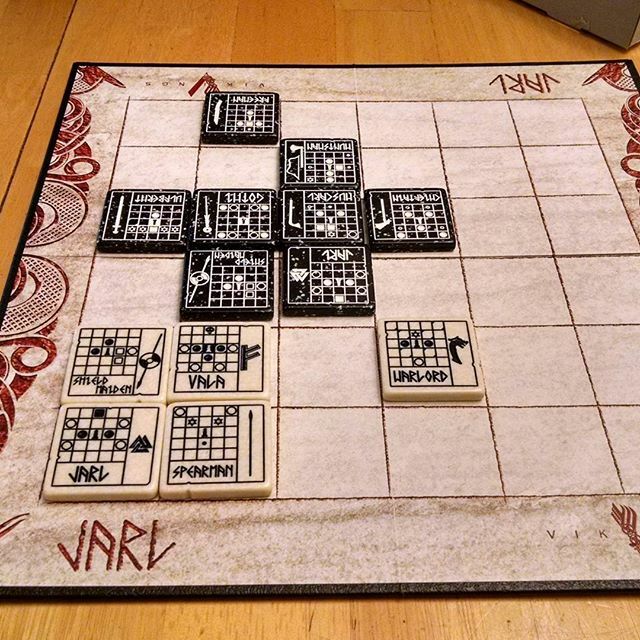 Each player has a bag of tiles, and when they spawn a piece, the player randomly draws a new tile and places it adjacent to his/her duke. 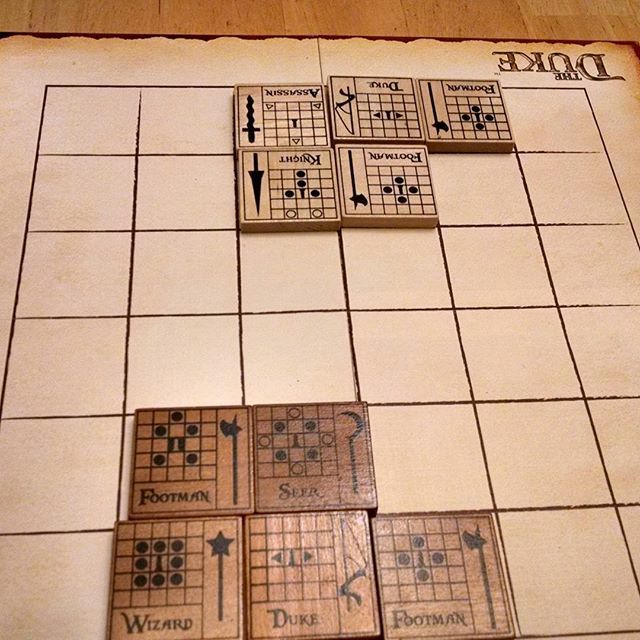 Play goes back and forth between the players as they capture tiles, move across the the board, and try to outwit one another to capture the opponent’s duke. Last duke standing is the winner. The Duke was the base game. Now let’s look at the stand alone expansion-Jarl! Let’s say you only have $40 and you step up the the Catalyst booth at GenCon-What are you going to buy? Jarl and The Duke play extremely similarly. Jarl and The Duke both have the exact same mechanic of either activate/move a piece or draw a new piece. And, both do that well. Jarl pieces tend to interact more with shield maidens protecting other pieces and so on. The Duke pieces tend to be much more straightforward, not simpler, actions. The major difference between the two is execution. Jarl has less in the box but better theme. The Duke comes with more pieces, options to make your own pieces, and even a dragon expansion in the box. 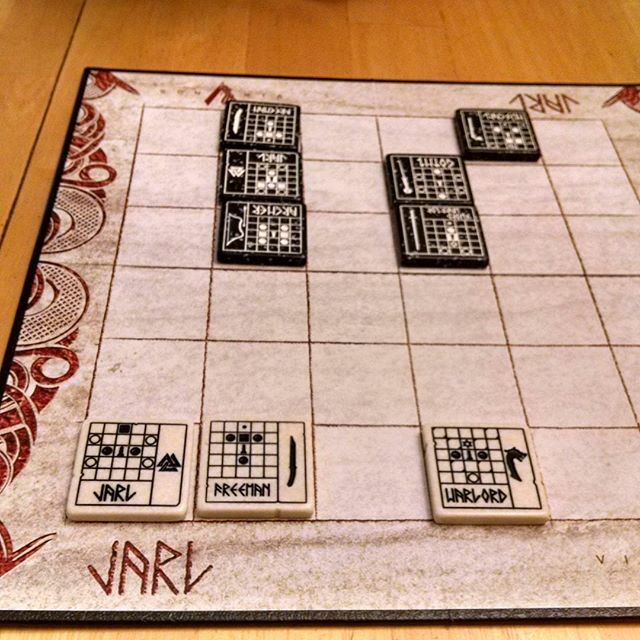 Jarl has more theme as the pieces are runes carved from almost bone and a runic alphabet. So, you have your 40 bucks, what do you buy? Well, I’m more of a fantasy guy, so I vote The Duke. 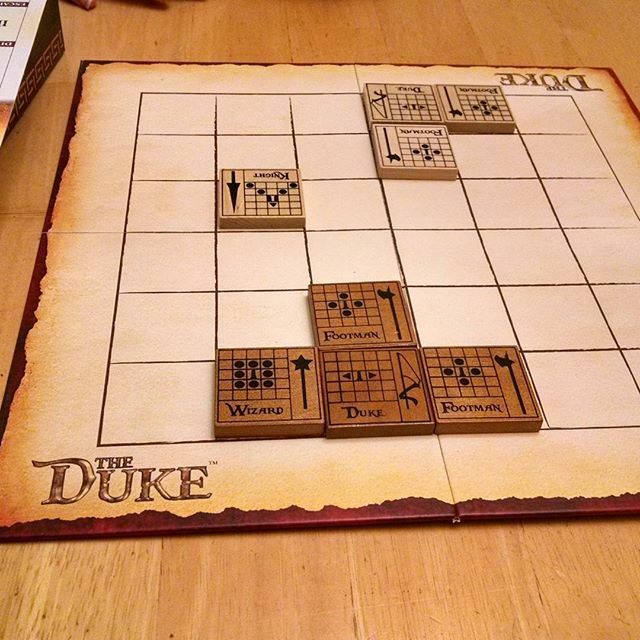 I do like a bit more complexity in my games, but The Duke give me extra pieces, and more game options. But, it’s a tough choice. If you can’t get The Duke, and a copy of Jarl is nearby, that is an excellent alternative. Watching my players play some DnD 5e, I thought this fighting style up watching my poor two weapon fighter miss way too many times. When you wield two weapons, you may forego your second attack to make one attack roll. If you do, you gain advantage on a single weapon attack. Class features, abilities, spells, and other effects such as a rogue’s sneak attack do not trigger on advantage gained in this way.